Here in Tokyo, Japan, the autumn leaves have turned colors. Now beautiful reds, oranges, and yellows fill the sky. Little by little, the leaves tumble to the ground. My Kindergarten students delight in gathering the fallen leaves. We have a very simple song about the autumn leaves that I’d like to share with you. If you have a xylophone or glockenspiel, you can play it by starting at the shortest bar (C) (do), and going step by step to the longest bar (C). Down, down, down, down, the leaves are falling to the ground. 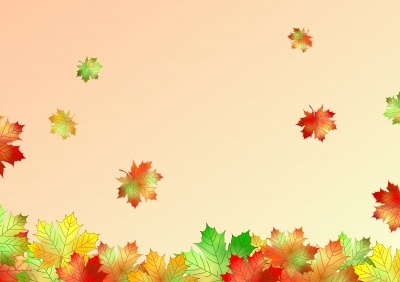 If you have colored leaves, let students dance with the leaves in their hands. If you don’t have colored leaves, you can have students make them out of construction paper. They can paint or color them. My students also love to dance with lightweight scarves (available at West Music.com — item # 540053). As students sing, they move their bodies lower and lower, just like the music. When they sing “Whoosh!” they pretend to scoop up the leaves / scarves and start again. You can make this song a little more complicated by adding the colors of autumn leaves. Red, yellow, orange, and brown, the leaves are falling to the ground.